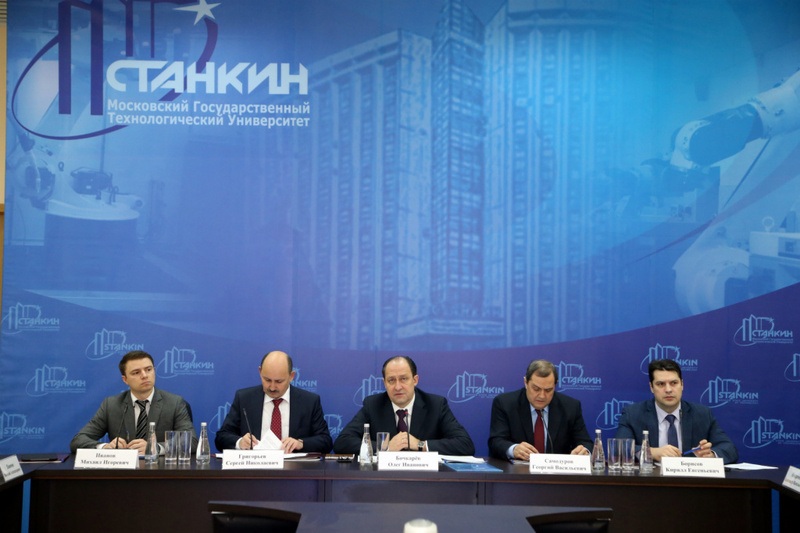 On the basis of MSTU "STANKIN" was held a meeting chaired by the vice-chairman of the Board of the Military-industrial complex Oleg Bochkarev | Federal centre for collective use<br>"State engineering centre" of MSTU "STANKIN"
On December 26th, 2016, a meeting was held at MSTU "STANKIN" under the chairmanship of vice-chairman of the Board of the Military-industrial complex Oleg Bochkarev on "scientific, design and technological support of the Russian machine-tool industry in the interests of technical re-equipment of defense enterprises". 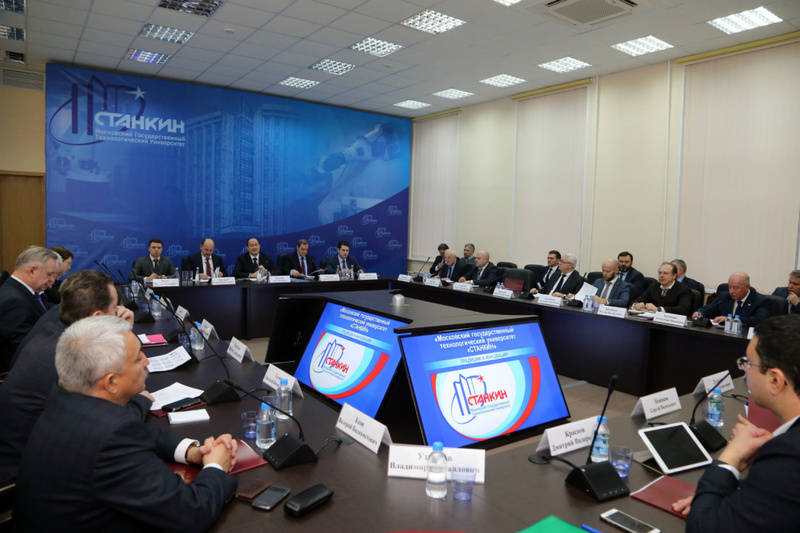 Among the main issues on the agenda was the creation of the Federal center for the development of machine tools on the principles of public-private partnership on the basis of MSTU "STANKIN". The report "Goals, objectives and forms of activity of the scientific, design and technological center of machine-tool industry on the basis of MSTU "STANKIN" was presented by: Mikhail Ivanov, director of the department of machine tools and investment engineering of the Ministry of industry and trade of Russia; Georgy Samodurov, president of the association "Stankoinstment" (this organization is the member of the Russian Chamber of commerce and industry), Dmitry Kurochkin, vice-president of the Russian Chamber of commerce and industry, Victor Glazunov, director of the Institute of mechanical engineering. of the Russian Academy of sciences, Vladimir Lebedev, general director of JSC «Kovrov Electromechanical Plant»", etc. Based on the results of the work, recommendations were prepared by the Ministry of industry and trade of Russia, the Agency for technological development, The Russian export center, “Vnesheconombank”, the Russian Chamber of commerce and industry, MSTU “STANKIN”, association “Stankoinstrument”.